IMMIGRATION LAW OVERVIEW By Roman Lee, Esq. The U.S. visa and immigration system is a regulatory regime with a vast body of constantly changing laws and regulations. Immigration laws have been described as “second only to the Internal Revenue Code in complexity” (CRS Study). While immigration cases involve preparation of sometimes seemingly-routine immigration forms, a lawyer is often the only person who can successfully navigate through the immigration maze to ensure success. In each phase of immigration processing, many factors will affect the outcome of a case. Relevant factors about the visa applicant include the applicant’s manner of entry into the U.S., the applicant’s current immigration status, the applicant’s prior immigration history, the applicant’s travel plans, the ages of the applicant’s dependents, and the applicant’s professional and personal background. Relevant factors about the visa sponsor (employer) include the employer’s financial ability and business operations. Additional factors include the type of employment being offered, the salary offered, the timing and locations of filing and processing, and many other factors. All these factors should all be subjected to in-depth analysis and review by an experienced immigration lawyer. Time also plays a significant role as changing law and evolving facts may affect the course of a pending case. It is critical to have thorough planning and continuous monitoring of legal and factual developments to achieve the best results. Immigration laws and regulations define the eligibility and qualification for work visas. Immigration laws and regulations also set forth the procedures by which immigration cases are handled by the various government agencies involved. Immigration laws consist of federal statues, regulations, local agency rules, administrative and judicial cases. Work visa and employment-based immigration cases are decided by federal government agencies. These agencies are the Department of Homeland Security (Citizenship and Immigration Services), the Department of State (US Embassies and Consulates), the Department of Justice (Executive Office of Immigration Review), and the Department of Labor (Employment and Training Administration). 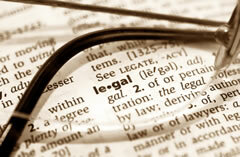 Each agency uses its own separate set of rules and periodically issued administrative memoranda to process cases. Appellate avenues for unfavorable agency decisions include the Administration Appeal Office (AAO), the Board of Alien Labor Certification Appeals (BALCA), and the Board of Immigration Appeals (BIA). Final appellate jurisdiction rests in Federal Courts.